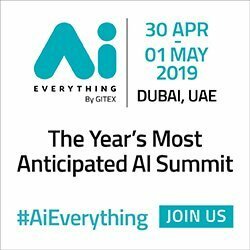 The initiative was launched in early 2018 by His Highness Sheikh Hamdan bin Mohammed bin Rashid Al Maktoum, Crown Prince of Dubai and Chairman of the Dubai Executive Council, to ensure Dubai's full transition towards smart government, as envisioned by H.H. Sheikh Mohammed bin Rashid Al Maktoum, Vice President and Prime Minister of the UAE, Ruler of Dubai. Set to conclude at the end of the year, the first phase of implementing the Dubai Paperless Strategy will see Smart Dubai work with six government entities, namely: Dubai Police, Roads and Transport Authority (RTA), Dubai Electricity and Water Authority (DEWA), Dubai Land Department, Dubai's Department of Economic Development (DED), and the Department of Tourism and Commerce Marketing (DTCM). Phase two will include cooperation with different government entities. 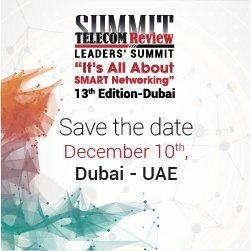 Her Excellency Dr Aisha bint Butti bin Bishr, Director General of the Smart Dubai Office (SDO), said: "The Dubai Paperless Strategy constitutes a significant leap forward in Dubai's quest to transition into a world-leading smart city, embodying the vision and directives of our wise leadership to embrace advanced technologies and harness them to conduct integrated and paper-free operations at government entities, where employees are encouraged to develop plans and strategies for community development, as well as to promote happiness." "We divided the implementation of the Dubai Paperless Strategy into several phases in an effort to optimise its activities and seamlessly achieve the entirety of its objectives," H.E. Dr Aisha added. "Each phase will see us cooperate with a group of influential government bodies. For the first phase, we are collaborating with six prominent entities that offer essential services for citizens and residents, while the second and third phases will bring us together with dozens more government agencies in 2019, with the final objective being to establish a fully-fledged smart, paperless government by 2021." Smart Dubai held several meetings with officials from the government agencies participating in the first stage, which resulted in the formation of special task forces from each entity, that will work closely with Smart Dubai to implement the strategy. The Dubai Paperless Strategy revolves around three main axes: Technology, whereby all technological requirements would be provided to ensure paper-free government transactions and procedures. Second, Legislation, where the necessary legislative changes are made to regulate paperless transactions in all institutions. The third and final pillar, Culture, seeks to take the strategy forward, overcoming cultural barriers of individuals and institutions to promote paperless transactions and procedures. The strategy is set to expedite the transition of internal and external (customer) paper transactions across government institutions towards digital. The government will stop issuing or requesting paper documents from dealers, and government employees will stop issuing or processing paper in key or supporting operations. Several technical changes will be gradually rolled out to implement the Strategy. These include increasing automation in government institutions, and tending to both external (customer) needs and internal (administrative and operational) needs, which, going forward, would be conducted through digital IDs, signatures and certificates, as well as secure data available via dedicated platforms. Changes also include legislative adjustments, regulating physical presence at the courts, and the legal requirement to produce paper documents to guarantee the credibility of the transaction.